The latest versions of Mac OS X includes a ‘guest user’ feature. If you have updated to one of the latest versions of Mac OS X recently, you will see a new user titled ‘Guest’ have been placed by your original account. Macbooks are known to be best personal computers in many cases, and having a guest account in fact helps with maintaining privacy. One does not have to unlock their account and share their files and folders to people willing to borrow a computer for some job. Guest users are limited. Logging in, a user gets to see the Safari app only and all the installed apps on the Macbook remains hidden as well as the user files used by the owner. To safely hand over the Macbook to someone else for a couple of hours, the Guest user is very useful. However, some Mac users may not entirely feel comfortable about sharing their computer and turning the Guest account off in that case sound like a great idea. 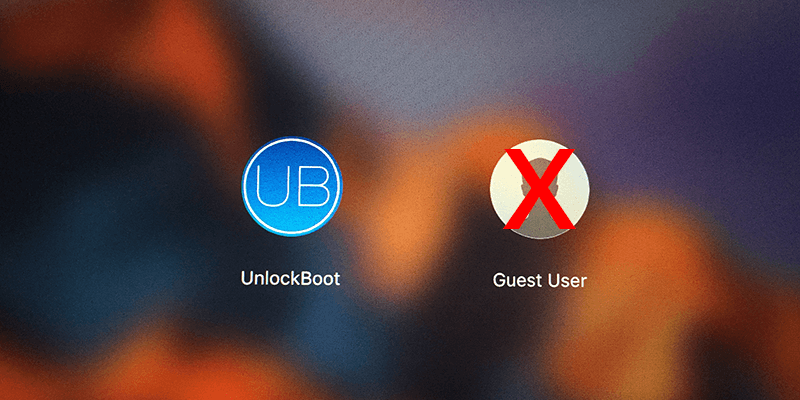 Follow our guide below to quickly disable guest user on Mac. The latest version of Mac OS X kind of simplifies the removal of guest user account from the OS X login screen, in comparison to the earlier versions of Mac OS X. If you own a latest Macbook and don’t know which OS version you are using, try this method first. From Apple menu, navigate to the System Preferences option. When a new box opens, find the Users & Groups tab in the top section. Inside that section, there should be a lock icon. Click on that lock icon. It will open, however your Apple password would be asked. Once you are in, click on Guest User. The new box should have an option ‘Allow guests to log in to this computer’. 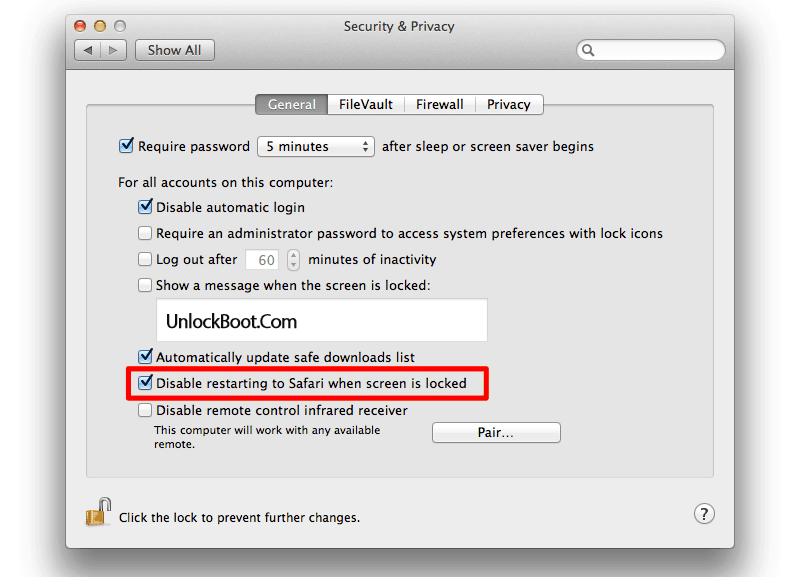 Uncheck the box and the user account Guest Account will be removed from the Mac OS X login screen. Open Security & Privacy from the Apple menu. It’s placed in a pretty much noticeable area. Once a new window opens, find the lock icon in the lower portion of the box. The administrative password for the account would be asked so that the control panel gets unlocked. On the window that appears, look for ‘Disable Restarting to Safari when Screen is Locked’. 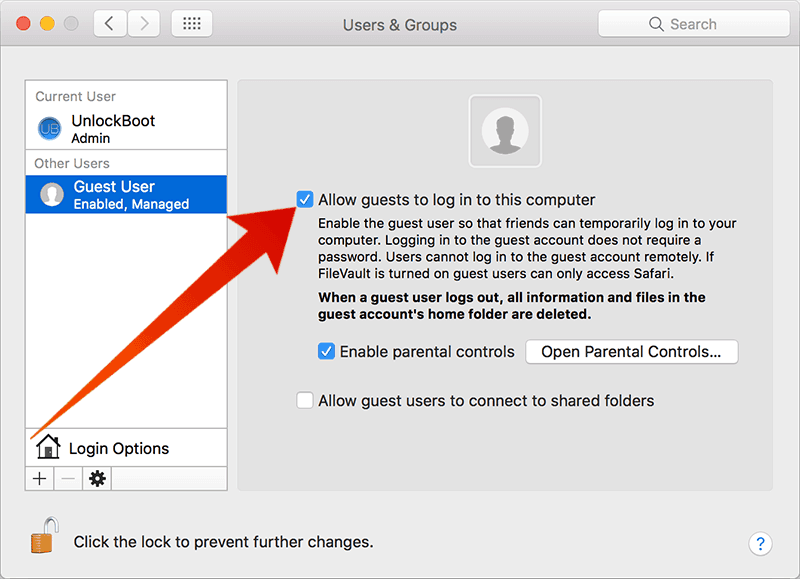 If you have done up to this step properly, now you Macintosh won’t anymore show the Guest Account login option. Although having the Guest Account turned on is better for anti-theft and tracking security, yet depending on situations one might want to disable the Guest User login. Conclusion: Using these two methods, the Macintosh users can turn off Guest Login. If you get stuck during any of the process, try starting over.